The solar field at the Granite construction site on Indian Canyon. Public Health Problem or Public Safety Problem? Here's an opinion piece in the Washington Post comparing the battle against tobacco with the "war on drugs." The ban on TV and radio ads for tobacco began under the Nixon administration, as did the war on drugs. Tobacco was treated as a public health issue. Drugs were criminalized. The end result? Tobacco use has declined by a huge percentage, especially among children. Drugs? No change. According to the Monitoring the Future report, daily use of marijuana by 12th-graders was at 6 percent in 1975; in 2014, it was 5.8 percent. The picture with heroin has shown similar stability. In 1975, 1 percent of 12th-graders had used heroin within the year. In 2000 that figure was 1.5 percent. In 2014 it was down to 0.6 percent, but it may be climbing again. The war on drugs has done nothing except increase the costs of law enforcement and engendered a generalized disrespect for law enforcement...just as alcohol prohibition did. You've seen old films like this plenty of times, laughing at these early misguided attempts to fly like a bird. Laugh no more. They've gone and done it. And he did it 19 years before radio. 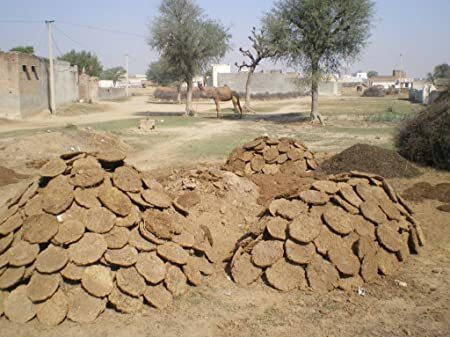 You can buy cow dung patties from Amazon India. 2.2 Kg of cow dung for ₹99 (about US$1.49). 1.6 Kg of cow dung for ₹419 (about US$6.32). This must be of superior quality, but nothing like that is claimed. The camel in the background raises my suspicions. What if they are selling camel dung as cow dung? If you're buying cow dung from Amazon, you might as well also buy cow urine. Or, for the squeamish, powdered cow urine in capsules. Each of those items has customer reviews, some real, some joke. No matter what the dealer told you, a Ferrari does not give you license to assault a cop. Unfortunately, we don't get the enjoyment of watching the ultimate punishment: the towing of the Ferrari to a police impound lot. NYC Cyclist Finds Route 66 "Not very scenic"
Jeffrey Tanenhaus grabbed a Citi Bike (a bike sharing bike) in New York City this past August and headed west. He has just now reached California. Yes, obviously he should have started sooner, but he's here and hanging out in Joshua Tree National Park now...or at least that's what the article says. He remarks on the sparsity of drug stores and such in the southwest, and he's not carrying any camping gear, so I don't know how he will make it in the park. He has been depending on the kindness of strangers for places to sleep, so maybe he can become the darling of Jumbo Rocks campground, or something like that. He has done a bulk of the ride along historic Route 66, at times pedaling out on the shoulder. One article dated in October said Los Angeles is his goal but he "may end up in San Diego instead of Los Angeles, as he originally planned, because of weather concerns." I wonder what sort of major weather difference he thought he could detect four months in advance. In effect he bought the bike for $1,200 by not returning it within the time limit. For $1,200 he could have gotten an even better bike. He carried his gear in a trailer. He was attacked by a crazy man in Oklahoma - a very crazy man. From my friend Jeff Ford. The Planning Commission held a special meeting on Monday, December 21. Commissioner Voss was absent because he was still in China (or in the process of returning), but the other four commissioners were present. Benno Pabst and Valley Compassionate Care on the southeast corner of Palm Drive and Fourth Street, formerly the Hart dental building. Thomas Miller and Greenleaf Wellness at 12285 Palm Drive, Suite B, formerly a church and, I have been told, before that, a theater. Eduardo Rivera and the D.H.S. Alternative Healing Corporation at 66328 and 66338 Pierson Boulevard which was used by Ocean Tech some years ago. Continued to the January meeting with no discussion. Continued to the February meeting after quite a bit of discussion. Let's move right along to the second one, Thomas Miller and Greenleaf Wellness. There is already a nail salon and convenience store as neighbors to this proposed location. The site has already been improved for those businesses. The only exterior improvement suggested by staff was to put more lighting on the Palm Drive front of the building because (1) there's a bus shelter there and (2) it's always too dark at night. The dispensary will occupy 2,016 sq. ft.
Thomas Miller, the applicant, came to the podium. He said his dispensary will provide free medication to cancer patients and to veteran PTSD patients. He is already in contact with the local Veterans Association. They will offer buy one, get one deals (known as "BOGOs"). There will also be early bird, happy hour, birthday and loyalty card specials. They will offer free classes to patients on the proper way to purchase and use edibles, as well as classes on the effects of the different strains. They have hired two DHS residents already, one a budtender, the other a security guard. They have art from local artists to put on their walls. Mr. Miller said he has experience in the restaurant business which, he said, is very similar to the marijuana business, especially in terms of customer service. He invites anyone and everyone to come and visit and see what they are building. Commissioner Duffle asked how many local residents he expects to hire when he opens. Mr. Miller said they plan to have only five employees, because they will not start growing plants immediately. He and his partner will be two of the employees. The other three will all be from Desert Hot Springs, he said. A second security guard will be needed too, and he hopes to hire that guard from DHS as well. Mr. Duffle asked if he had a system set up to capture the proper sales tax on the free and specially-priced items. Mr. Miller said he did and the tax money for those will come to the City of DHS. Mr. Miller said he has already been in touch with his landlord about putting in the lighting on the Palm Drive front and he also plans to install a gate of iron bars across the stairs on the south side of the building that go down to the basement. The nail salon has already set up an exterior camera. There will be a camera inside the dispensary as well. (a) Deliveries, as defined in this chapter, can only be made by a dispensary and in a city, county, or city and county that does not explicitly prohibit it by local ordinance. (1) The city, county, or city and county in which the licensed dispensary is located, and in which each delivery is made, do not explicitly by ordinance prohibit delivery, as defined in Section 19300.5. (2) All employees of a dispensary delivering medical cannabis or medical cannabis products shall carry a copy of the dispensary's current license authorizing those services with them during deliveries and the employee's government-issued identification, and shall present that license and identification upon request to state and local law enforcement, employees of regulatory authorities, and other state and local agencies enforcing this chapter. (c) A county shall have the authority to impose a tax, pursuant to Article 11 (commencing with Section 19348), on each delivery transaction completed by a licensee. (d) During delivery, the licensee shall maintain a physical copy of the delivery request and shall make it available upon request of the licensing authority and law enforcement officers. The delivery request documentation shall comply with state and federal law regarding the protection of confidential medical information. (e) The qualified patient or primary caregiver requesting the delivery shall maintain a copy of the delivery request and shall make it available, upon request, to the licensing authority and law enforcement officers. (f) A local jurisdiction shall not prevent carriage of medical cannabis or medical cannabis products on public roads by a licensee acting in compliance with this chapter. Desert Hot Springs does not explicitly prohibit delivery, so I think that it will become legal in DHS on January 1. Once the dispensary gets its final approval the delivery service can move up here. Ms. Terifaj asked why the city would not allow deliveries. "It just doesn't make any sense." There was a discussion about sending a request to the city council to revise this situation...and that was included in the motion to approve the CUP. Mr. Miller said there are a lot of DHS residents who don't have cars. And, I might add, there are patients who don't want to be seen entering or exiting a dispensary. Mr. Duffle said that the crime rate in DHS may make delivery services unsafe. Mr. Miller said he has never felt unsafe in Desert Hot Springs. A patient has to text a copy of their ID and letter of recommendation to his phone before he will deliver. [I think that means delivery is restricted to patients who have access to a smartphone, unless there's some other way to text images.] The one time he was robbed was in Cathedral City. Commissioner Romero said there is a parallel with how massage is regulated in DHS. One can get a permit to do massage in a hotel, or a permit to do outcall massage, but there is no permit to operate massage therapy out of a home. She rhetorically asked what the city thinks would go on in a home that doesn't go on in other massage settings. It's the mindset and stigma that are still in place along with concerns for legitimacy and propriety. Mr. Miller said Palm Springs has just dealt with this, allowing deliveries only by established dispensaries. Steven Henderson, the accountant for Mr. Miller's business, came to the podium to comment. He said he stays on top of the shifting accounting rules that apply in the marijuana business. Mr. Duffle moved to approve the CUP and to ban delivery services until the city's policy is changed and to install their own camera in the same place as the nail salon's camera (because the nail salon's camera is not compatible with the system used by the police). This was the fifth marijuana dispensary CUP approved by the Planning Commission, but the dispensary also must get a regulatory permit. On top of that, I believe the number of dispensaries is still limited to three, but that limit is set by City Council resolution so it will be easy to change. Next, Mr. Duffle moved to have staff notify the City Council that the Planning Commission recommends making delivery services legal. This was approved 4-0. Mr. Malacoff said he would send the message to the City Manager who will then forward it to the council. Next was the application for CUP by Eduardo Rivera and the D.H.S. Alternative Healing Corporation who want to set up on Pierson Boulevard a few doors west of Casa Blanca. The site is two parcels. The buildings sit on the western parcel which is also paved. The eastern parcel is just dirt. Mr. Malacoff said that if they ever plan to build anything on the eastern parcel, the city will require a parcel merger. The applicant wants to use the dirt lot for special events only, for now. Mr. Malacoff said that each special event will require its own special event permit, which has to be approved by the police and other city departments. The existing buildings have an area of about 1,783 sq. ft.
A couple letters of opposition were sent to city staff. Mr. Malacoff read them into the record. Lisa Mullen wrote that she opposed the application because they have broken the rules. They set up an illegal dispensary at this location in January 2015. Here's the news article about that from the Desert Sun. Police in Desert Hot Springs say they shut down an illegal marijuana dispensary Monday and arrested two people for possession of marijuana with intent to sell. Edward Vargas of Cathedral City and Danielle Pappas of Palm Springs were arrested Monday shortly after 6 p.m. The pair were operating an illegal dispensary out of a standalone commercial building at at 66328 Pierson Blvd., according to a news release. They were arrested at the site. Police went to the scene after receiving multiple calls about a sign twirler at Palm Drive and Pierson Boulevard, possibly advertising a dispensary, the release said. Police closed the dispensary and conducted a search after obtaining a warrant, the release said. The Desert Sun found no signs of activity at the building Tuesday. The property was enclosed by a metal gate secured with a padlock. Police said they found evidence of illegal marijuana sales in the building. Vargas and Pappas both were arrested on suspicion of possession of marijuana with intent to sell and were booked at the Riverside County jail in Banning. The investigation is ongoing. The Desert Hot Springs Planning Commission is set to meet Tuesday evening to consider permits for the city’s first two authorized medical marijuana dispensaries. You'll see that article doesn't name either Eduardo Rivera or the D.H.S. Alternative Healing Corporation. Mr. Malacoff continued reading Ms. Mullen's letter. She said they opened with no business license and lied to her as a new patient, claiming they were the first licensed shop in the city. She saw the sign spinner at Palm and Pierson that is mentioned in the Desert Sun article. Another letter, from Joseph Miner, was lengthy, so Mr. Malacoff summarized it. The letter said that putting a dispensary in a location within walking distance of residents will exacerbate the health and safety of the community. Mr. Miner owns residential units adjacent to the vacant lot that is behind (north) the proposed location. He said that lot has been a conduit to crime for 20 years. A 90-year old woman and her daughter live next to the vacant lot. He used to own the buildings that D.H.S. Alternative Healing wants to move into so he knows that people climb the chain link fence in back to burgle the place. Mr. Malacoff reminded the Planning Commission that they deal solely with land use issues. Other issues brought up by the letters from the two residents will be dealt with in the regulatory permit process. Commissioner Duffle said he had a couple of big concerns. One is the proximity to a high drug crime area. [¡I think he means my 'hood!] He is also concerned about the high number of high school students that would walk past the dispensary. Ms. Romero asked how many dispensaries are operating and how many are proposed. Mr Malacoff began to list them off, but then Ms. Romero clarified that she meant only on Pierson. Mr. Malacoff said he doesn't have accurate figures because some of dispensary applicants that originally proposed Pierson locations have lost their leases and have not yet re-applied. He said the city does have five applications in queue in addition to the three on this night's agenda. Ms. Terifaj said the location was isolated. "This is not close to anything, really." There's vacant land next to it and residential property. She said she thinks it's a terrible location. IMO, the same things could have been said about the Brown Dog dispensary, but there it is, not ruining the city. Mr. Malacoff said that the applicant had not suggested doing anything to the north side. This surprises me, because there is a chain link fence on the north side of the property. City staff is usually very good about making developers get rid of chain link fences, but this one seemed to get by them. This is what the north side (1st Street) looks like. Chair Sobotta said the existing gate and fence on three sides of the property were supposed to have been temporary. He said the gate opens out into Pierson Boulevard. He is incorrect about that. It's a sliding gate. Here's the site layout. North is to the left; Pierson Boulevard is running up and down along the left side. Notice there are only 7 parking spaces, including two handicapped spaces. The space closest to Pierson is going to be almost impossible to park in. Mr. Sobotta said the ideal solution would be to pave the eastern portion of the site and use that for additional parking. He said this is a chance for the city to really improve that site, but the CUP doesn't call for any real improvements. As an example, he cited the wheel stops in the parking lot. Those are not allowed by the city code, but the CUP doesn't require them to fix that. He said he only found out about this meeting at 5 o'clock that day. I find that difficult to believe, unless Mr. Rivera is in the habit of not reading his mail; something which is not advisable if you are in the process of trying to open a marijuana dispensary. He said the gate does not swing out into the right of way. It slides along the fence. He said that if a turnaround is required, it's no problem. He said he will agree to whatever accommodations the commission thinks are necessary, "so long as they are reasonable." He said he could set up a street fair there, or he could serve bread and soup to the hungry. He said those are the sorts of things he wants to do because he's a Rotarian. When he lived on Maui he helped create three Rotary clubs. "You tell me what you want, I will do it," he said. He said he would light up the vacant lot north of him, if the commission wants that. If they want him to buy that vacant lot, he will. Mr. Duffle moved to continue this item to the February meeting, including look at its proximity to a high crime area, look at its proximity to the high school and the foot traffic going past the location, look at the concentration of dispensaries on Pierson Boulevard, consider the condition of the north side of the property and what should be done with that, the site is isolated, consider the impacts to the neighboring residential area, investigate the law on locating a doctor's office, check that the gate does not open into the right of way, re-examine the parking, get a better landscape plan (there's a tiny bit of dirt along the fence in front where something skinny might grow), get a lighting plan that shows type of equipment, examine the circulation of the site, examine the exterior of the building and consider whether exposed conduit should be painted or screened. Mr. Sobotta added that the wheel stops should be taken out and replaced with continuous curbing. He also wants to examine whether the fence should be improved or perhaps removed. Two more medical marijuana grow facilities came before the City Council on Tuesday, December 15. Both were approved unanimously (4-0, Joe McKee was absent because he is in China). Here's the one-hour video of that portion of the meeting. The first one, brought forward by Oxford Properties, will be on the northeast corner of Little Morongo and Dillon. Initial construction will be four buildings of 47,850 sq. ft. each. The next 16 buildings will be 50,600 sq. ft. each. The grand total will be 1,001,000 sq. ft. which will cover 65% of the 35 acre lot. All 20 buildings are expected to be built within five years, but they may take up to ten years. The buildings will be 50 feet high. Construction will begin "immediately." The developers will be required to improve Dillon Road along their frontage. But on Little Morongo, the misplaced power poles prevent full improvement. The Development Agreement will require the developer to participate in a "regional effort" to improve and widen Little Morongo. The discussion and vote on the Development Agreement for this property were put off to the next council meeting because the Public Safety Mitigation fee had not yet been negotiated. I think it's interesting to note that the original landscape plan called for cholla cactus! Good for security, I bet. But the ALRC cut out the cholla. The development is in the Coachella Valley Water District, not Mission Springs. This is how the site will be laid out. This is 20 long buildings with their short sides facing Little Morongo. Little Morongo runs across the bottom of the drawing. North is to the left. The traffic analysis showed that no traffic light will be necessary at the intersection of Little Morongo and Dillon, but the developer will be required to pay his share of that expense into a reserved fund that will be used to pay for traffic lights when they are needed. There was discussion about the nearly hopeless problem of the power poles that were placed in the right of way. Moving one pole is said to cost $200,000. Counting poles using Google Earth I come up with 76 poles between Dillon Road and Mission Lakes Boulevard. That would mean a total cost of about $15,200,000! I wonder what the cost and challenges would be for the city to shift the right of way to the west sufficiently far that the poles can stay where they are, but be out of the right of way. I imagine the biggest challenge doing that would be encroaching on Dr. Shah's shopping center at Mission Lakes and Little Morongo. City Manager Magaña said that one issue that needs to be resolved first is completion of the General Plan update, which will tell the city how wide the right of way on Little Morongo should be. The developer said he became interested in medical marijuana when his mother developed cancer. He has a delivery service and cultivation facility in the Inland Empire and a dispensary in Santa Ana. He said grading will commence in January 2016. He said their facilities recapture 70% of the water they use. When the project is complete he estimates it will employ 1,000 people. The developer of another cultivation site got up to comment and said that his top concern and the top concern of other cultivators is security. He said that the proposed Oxford Properties project is massive and ambitious. He said it has gotten on the radar of the federal DEA. Desert Hot Springs is becoming known nationally as one of the few places to allow cultivation. He said that this must be done right, or all of the marijuana industry could suffer. The applicant returned to the podium and said they are working with a firm made up of ex Navy Seals and Secret Service along with the head of security at the Commerce Casino. The attorney for the project came to the podium to say they had already reached out to elected officials and regulatory officials in Washington, DC, to discuss this project and to insure it is within guidelines. It is his opinion that the feds are "comfortable" with this. Councilmember Betts asked for a 5 minute recess so he could get his questions about the power poles clarified by a member of staff. Mayor Matas would not recess the meeting, saying that all of Mr. Betts's questions had already been answered. Mr. Betts then walked to the backroom with a staffer for that discussion while the meeting proceeded. Councilmember Parks asked the developer to clarify if the claimed 1,000 jobs would be construction jobs. The developer said that he wasn't counting the construction jobs in that figure of a 1,000. Add those in and the number will be even higher. He said the 1,000 jobs will be full time and each building will have 50-60 employees. A member of the developer's team said that the marijuana cultivation facility will pay better than Walmart. Phase I will be four buildings. Councilmember Zavala asked if most of the employees would be Desert Hot Springs residents. The applicant said he hoped so, and that he was considering setting up a training facility to train new employees. Many of his employees in other facilities were completely new to the industry when hired, he said. In response to another question from Ms. Zavala, the developer said that each building will take about 6 months to complete. I've got to say that the speed of development promised by this developer and other marijuana developers is rather astonishing, after years of hearing about reasons for delay from other developers of other types of properties. Mr. Betts came back from his discussion to say that he would vote No on the CUP, because he couldn't figure out what they were going to do in the way of street improvements along Little Morongo—this despite the fact that it had been explained repeatedly that the developer will put in curbs and sidewalks and build driveways from Little Morongo onto his property. The developer suggested putting K-rails (jersey barriers) around the bases of the power poles there, saying he has seen that done in other cities—Brea, specifically. Mr. Betts said he was told that nothing would be paved except the driveways. A member of the developer's team got up and said they would pave everything if the city asked them too, but they just could not move the poles. Mr. Betts said he wanted the curb and sidewalk to be on the street side (west) of the poles, not on the development side (east) of them. The developer could not say Yes enough times in response to this. Years from now, if the poles ever get moved, then the curb and sidewalk would be torn up and moved. The developer has said they have agreed to every request from the city. Mayor Matas said that staff had heard Mr. Betts's concerns quite well and he didn't think Mr. Betts would have a problem getting what he wanted. Ms. Parks made the motion to approve the CUP (the development agreement will come to the council later). Approved 4-0. The second marijuana cultivation facility under consideration this night will be a new building on 2.14 acres on the southwest corner of Two Bunch Palms Trail and Cabot Road (Map). That is just east of the tire and auto repair businesses there. The applicant is Bunch Palms Trail, LLC, John Van Beek. Not Two Bunch Palms Trail. Just Bunch Palms Trail. It will be a single 2-story building (up to 37 feet high)) covering a total of 43,161 sq. ft., which is only 46% of the site. It will include four greenhouses (5,914 sq. ft. each). The greenhouses will be screened by the other buildings, so they will not be visible from the street. The site will be surrounded by a wrought iron or tubular steel fence (the applicant had proposed chain link, but the Planning Commission changed that). Water at this site will be delivered by MSWD, of course. North is down on this plan. Two Bunch Palms runs left and right across the bottom of the drawing. I noticed this plan includes a Safe Room. If that's been on the plans of other marijuana businesses, I haven't noticed it. Councilmember Betts asked for a view of the property that showed a car. He said if he could get that, then that would save him having to ask "all these questions." He said that's what he's used to looking at. I myself can't say that I recall a car being shown on proposed plans like these. Mayor Matas asked if the greenhouses would be open to the air. Mr. Malacoff said they would be sealed. Mr. Matas revised his question to ask if they would ever be opened for ventilation. Someone in the audience called out "Yes." The applicant then came to the podium and said that the greenhouses would be opened for air circulation. Mr. Matas asked where the smell would go then. The applicant said that as air is drawn into the greenhouses and then blown back out, it will be "ozonated" (ozonized?) so no odor will be detectable. In addition there will be carbon filters. The applicant described this as a "small facility" and said they could be up and running and paying taxes in 6 months. Mr. Betts moved to approve the CUP and continue the development agreement and mitigated negative declaration until the January 19 meeting. Approved 4-0. I must add that the way Mr. Matas ran this meeting is a VAST improvement over what we've been accustomed to. Not only did he keep things moving along very efficiently, but there were no spats or quarrels. Even Lew Stewart showed him respect and refrained from insulting...at least for this meeting. The meeting included a study session at 3 PM and a presentation from Mission Springs Water District from 5:30 to 6 PM, when the regular meeting began. You can get those in the full video here. The study session was audio only, but is included in the YouTube video. Air. Yup, just air...Canadian air right now, but I'm sure we can find some pristine air in America too. Vitality Air is canning (using absolutely no preservatives or artificial ingredients whatsoever) air at Banff, Alberta, and Lake Louise which is also in Alberta. Their website says "we capture the best of air and oxygen, and managed to put it into a lightweight yet highly durable aluminum bottle for your convenience." I was a bit confused. Further study of their website showed me that the sentence should read like this: we capture the best of air and oxygen, and manage to put them into lightweight yet highly durable aluminum bottles for your convenience. IOW, it's not air enriched with more oxygen. You can buy a bottle of air, or you can buy a bottle of oxygen. Your basic starter can holds 80 one-second squirts of air. They offer that online for $20 Canadian. The article doesn't say what it sells for in China, but it does say that 1000 bottles of their next shipment of 4000 bottles to China have been pre-sold. IOW, it's selling like an Apple product. I think if Vitality Air could afford just a smidgen of marketing advice from Apple, they could get that retail price up to a couple hundred dollars at least. Of course, at that price there would have to be some sort of tie-in with iOS and Apple Watch. What a great way to get some our money back from China. They have a rapidly emerging big middle class, which can buy only so many iPhones. Let's sell 'em something they don't make themselves and we've got almost unlimited quantities of. Grand Canyon air? Mt. Denali air? Let's even try selling them some District of Columbia air to see just how gullible they really are! A traditional drug shop in Qunfudah, Saudi Arabia, was shut down when health inspectors discovered that the camel urine for sale was actually just the urine of the human proprietor. I'm left wondering what in the training of a health inspector gives him the ability to suspect camel urine is counterfeit? Color? Viscosity? Do they pick up a bottle and heft it? Do they open it and give it the smell test? It doesn't sound like they used a chemical test kit. UPDATE: There's a little more info about drinking camel urine in this article. Effective today, all amateur drone operators must register with the FAA if they intend to operate their drone outdoors and it weighs between 250 grams and 25 kilograms. It costs $5 to register, but you'll get that refunded if you register before January 20. UPDATE: If you register, your name and address will be publicly available. Luton, Bedfordshire; 21st January 1973; Kodachrome II. Original photo by Ray Pettit. Entertaining video of a skydiver who intentionally jumps with no parachute. Alex Meyerhoff, the former Community Development Director in Desert Hot Springs, is in line to become the new City Manager in Hemet. According to the article his starting pay will be $200,000. The full report for 2014 is available here. Click the image to get an interactive image that identifies each wedge. The biggest wedge is payroll. Some photos from my weekend in San Francisco. Nourse Theater where the San Francisco Gay Men's Chorus performs. If anyone has insight into what might be the native language of the author who wrote "lock back" rather than "relock" or just "lock," I would appreciate it. After "Recycle The Fruitcake" the Director had Mr. UPS (who was very popular with the audience) come back with the Trump poster so that the audience could take photos. While singing, chorus members held up, one by one, photos of "fruitcakes." They were Liberace, Richard Simmons, Pee Wee Herman (each one getting a good laugh), and then Donald Trump to which the audience reacted with a great roar. It was clearly the peak of excitement for the whole concert...in both performances that I attended. The Director said that when they came up with this idea four weeks ago it had seemed a bit iffy, but as the weeks passed the idea became better and better. That's Darrell who I met at the Billy gathering at Halloween. I ran into him at the 440. These are "Official" hair cuts. Anything else is simply unofficial. This is hanging in the barbershop where G. Fry works. I don't need to explain this one, do I? Civic Center BART with the UN shield front and center.